Regular readers know that I used to be overweight with a lot of bad eating habits. At my worst, I weighed over 220 pounds with a waistline of at least 44 inches. You can read how I made my first big successful swipe at that problem in How I lost 50 pounds in 52 weeks. The past nearly eight years of writing this blog has raised my level of awareness into the stratosphere as far as weight control and healthy eating are concerned. But I always go back to the first principles of portion control and serving size. Tufts offers some super suggestions that will bolster your weight loss efforts going forward. 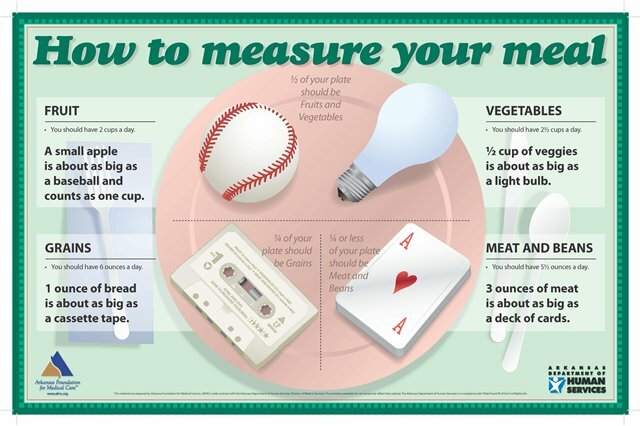 – Most restaurant portion sizes are at least double or triple the portion you should be eating. As soon as your meal arrives, cut it in half and box up the other half. Take it home to have for lunch the next day. – Serve food on small plates. Instead of using a dinner plate, substitute a luncheon plate or a salad plate. - When eating at home, put a small portion of food on your plate, and keep the rest of the food in the kitchen. Then, if you want to eat more, you’ll have to get up to get it. – Read food labels. When a package says that it contains more than one serving, measure out one serving into a separate dish. - Avoid eating in front of the TV or while reading. Instead, focus on the tastes, textures, and aromas of your food. This can keep you from mindlessly munching your way to the bottom of a bowl of popcorn or bag of chips. – Listen to your body’s hunger cues. Pay attention to feelings of hunger and fullness. This last point is excellent. Don’t eat for reasons other than hunger. A pint or Rocky Road ice cream will not solve your emotional turmoil. For more information on the connection between the heart and brain, consider purchasing Heart-Brain Diet: Essential Nutrition for Healthy Longevity by Tufts Medical Report. Blogging about good health has helped me lose weight too! Blogging has a lot of benefits! Congratulations on the weight loss and better health! Thanks, Marcella and congrats back to you, too. It pays to practice what you preach.